Netanyahu was responding to reports that Hamas Gaza head Yahya Sinwar had threatened Israel with another round of rioting and rocket fire, unless it ensured that the terror group was paid $15 million a month, to be supplied by Qatar. Israel is required to allow this money to enter Gaza. If it does not, Hamas will again ramp up rioting and rocket attacks, Sinwar said. The money is required to pay the salaries of Hamas employees, including members of its terror units, Sinwar reportedly said. The threat came after a tenuous ceasefire, after a weekend in which Israel was targeted with dozens of rockets by Gaza Arab terrorists. Some 40 rockets were fired overnight Friday through Shabbos afternoon. The Iron Dome missile defense system shot down at least 17 of the incoming Hamas rockets, with two falling inside Gaza. 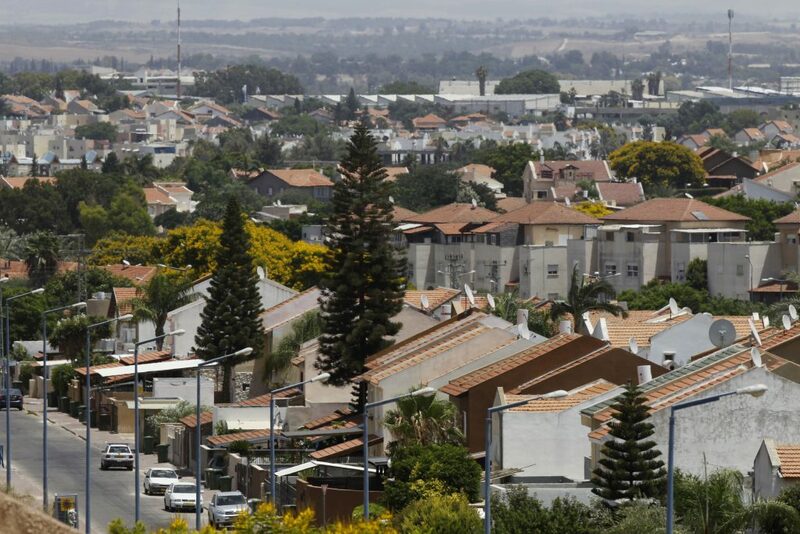 The Red Alert early warning system sounded in communities in the Negev at 37 times throughout the night Friday. Six people were treated for shock at hospitals in Ashekelon and Beersheva. On Sunday, an unexploded rocket, apparently fired over the weekend, was found in the yard of a high school in the Gaza border area. In addition, an explosive device, transported by balloon from Gaza, was found next to a kindergarten in Sderot. Both devices were dismantled without incident. Despite the declared ceasefire, residents of the border area were not taking chances; although the IDF declared Saturday night that things could return to normal, reports said that over 80 percent of students did not show up to school on Sunday. Meanwhile, the London-based Al-Sharq al-Awsat newspaper on Sunday reported that Hamas terrorists are “extremely angry” with their Islamic Jihad counterparts, who were behind the Friday night rocket attacks on Israel. The attacks were carried out without coordination with or permission of Hamas, and as a result the terror group refused to sign its name to a notice by Islamic Jihad praising the attacks. Hamas blamed Islamic Jihad for harming the attempts to come to understandings with Israel, which could lead to an easing of the Israeli blockade on Gaza.